We have recentley invested in specialist equipment and have trained staff to complete tree work in/above and close to water sources. Staff are qualified to Swiftwater Rescue Technician (SRT) which is a DEFRA Module 3 an internationally recognised qualification. 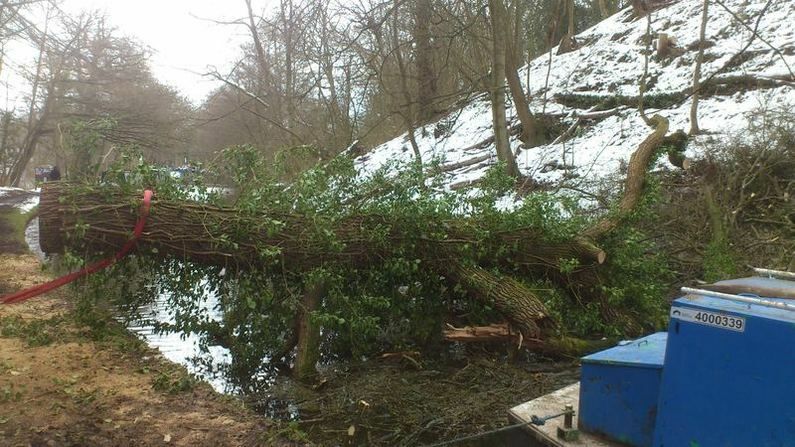 Trees that have fallen or have been windblown also require specialist qualifications to clear. We also have the ability to provide a tethered working platform within the water to carry out the task from.